Simply setting fire to her wedding dress wouldn't do for Kimberly Santleben-Stiteler. The newly divorced woman from outside San Antonio, Texas (shocker!) attached 20 pounds of Tannerite to the dress and created an explosive target. 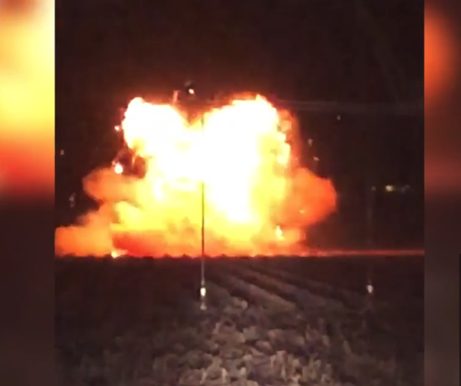 In front of family and friends, she shot the dress from 200 yards away, creating a fireball and explosion that was heard for miles. Santleben-Stiteler plans on selling her wedding ring. Sorry, demolition fans. 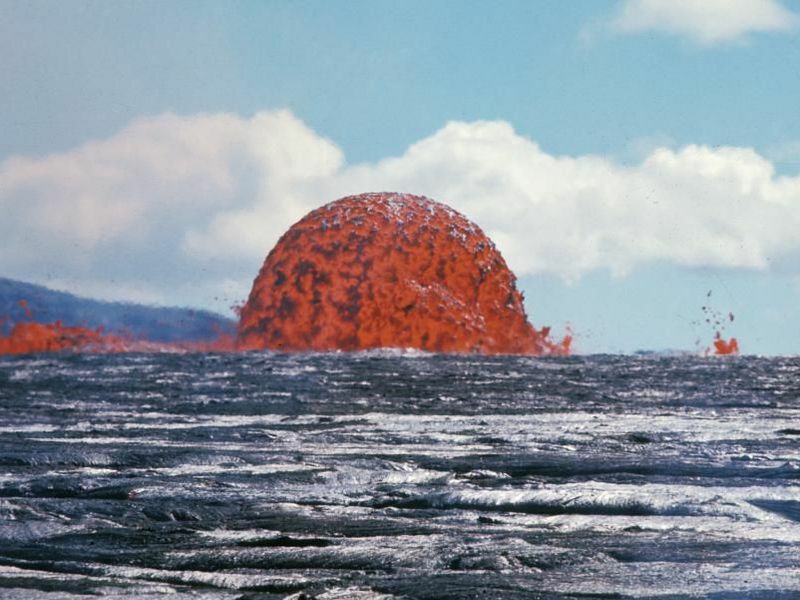 Behold a photo of a massive lava bubble, taken by the United States Geological Survey in 1969. It's from the long eruption of the Kīlauea volcano in Hawaii, which began on May 24, 1969 and went on for a remarkable 1,774 days. 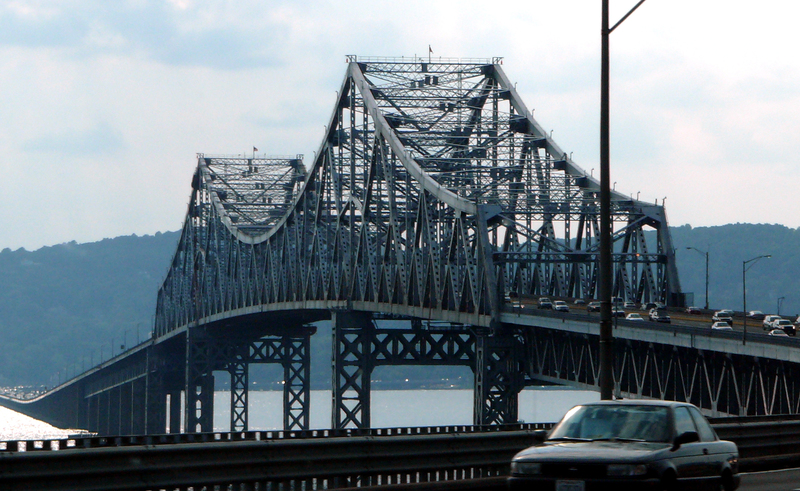 That bubble above is about 65 feet high, but apparently other bubbles were as huge as 246 feet! Lava fountains erupt either from isolated vents in lava lakes, or from lava tubes that are penetrated by water, according to the USGS. The formation and expansion of gas bubbles in molten rock pushes powerful streams of lava into the air—typically in a haphazard fashion, with the fountains spurting every which way. It is rare, the USGS notes, for the fountain to take the shape of a dome, like the one seen at Mauna Ulu. In a 1979 report, the USGS wrote that the dome fountain appeared frequently during the October event, which “lasted for 74 hours, nearly twice as long as any other fountaining episode of the eruption.” The report also notes that the dome had a mottled surface, caused by solidified crust getting mixed with liquid lava. As part of the dome slid away, experts could see a lava core inside, indicating that the dome was “not simply a large bubble. First theorized by Albert Einstein in 1916, gravitational waves are kinks or distortions in the fabric of spacetime caused by extremely violent cosmic events. Until now, all confirmed detections involved a deadly dance between two black holes, which leave no visible signature on the sky. But with this latest event, teams using about a hundred instruments at roughly 70 observatories were able to track down and watch the cataclysm in multiple wavelengths of light, allowing astronomers to scrutinize the source of these cosmic ripples for the first time. Unlike colliding black holes, shredded neutron stars expel metallic, radioactive debris that can be seen by telescopes—if you know when and where to look. 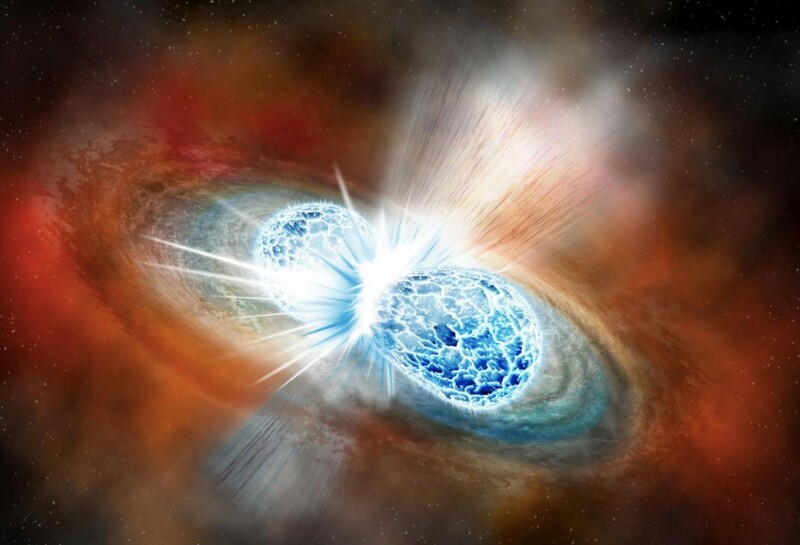 “We felt the universe shaking from two neutron stars merging together, and that told us where to go and point our telescopes,” says Howell, whose team was among several that chased down the stars tied to the gravitational wave signal. The slo-mo footage of this Xmas tree made out of detonation cord (starts around 3:00) is just, I mean. Wow. BOOM! On a Russian highway, a truck filled with propane cylinders explodes 39 times, boom, boom, boom, each explosion more spectacular than the last. 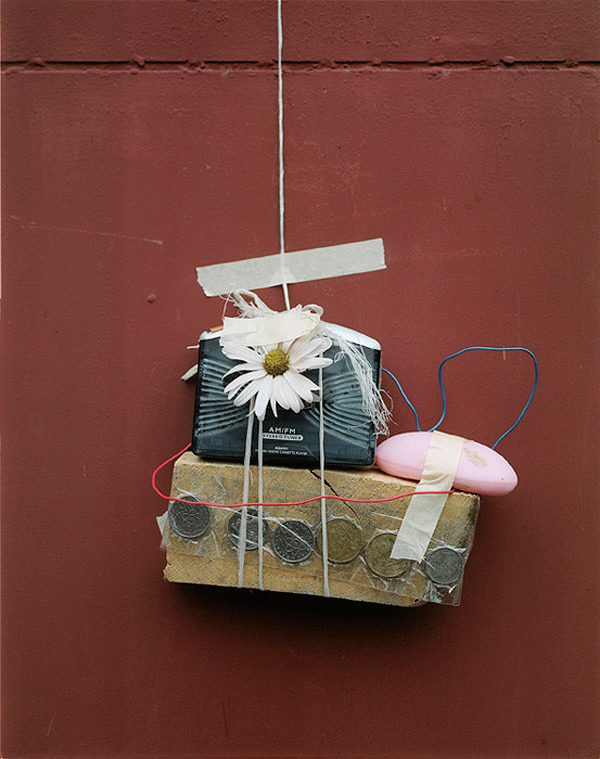 Underground power-boxes nestled beneath the pavements* of London keep blowing the hell up. In its defense, UK Power Networks reminds us that there's a lot of these boxes, and only a few of them explode catastrophically every year, blowing huge, dramatic holes in the streetscene. I'm reassured! A 50-year-old man was upset that the sign in front of the Oregon Teacher Standards and Practices Commission read "Oregon Teacher Standards an Practices Commission" (the D had fallen off the sign or been worn away), so he resolved to explode it with a pressure-cooker bomb. But the bomb didn't work, an outcome the man blamed on the spelling errors and typos in the bomb-making instructions he'd downloaded from the Internet. So he took his bomb into the Oregon Teacher Standards an Practices Commission and gave them a piece of his mind, vis-a-vis bombs, standards, and education. And practices. I think that only follows, though, if these were official State of Oregon bomb-making instructions that he'd gotten hold of. Caleb sez, "I wanted to try making something in the style of "Q" from the James Bond movies. My idea was to make an emergency self destruct system for laptops and portable hard drives. It turned out pretty well, it is always fun to watch stuff melt!" I wanted to implement thermite as a self destruct mechanism inside the device. To do this, I had to come up with a way to ignite the thermite. This stuff is very difficult to light. You have to get it really really hot. The easiest way is to use magnesium, which itself isn’t the easiest thing to light. Dr. Roy Lowry demonstrates the awesome power of liquid nitrogen for a group of students at Plymouth University with a riveting demonstration that culminates in making an LN2-based bomb out of a water bottle, placing it in a giant rubber trash-can full of 1500 ping-pong balls, and waiting for the BANG. MrBrickLabel has a Flickr set of absolutely gorgeous vintage Chinese firecracker labels. HOWTO: "Obliterating Animal Carcasses With Explosives"
As the Forest Service makes ready to explode a cabinfull of frozen cows, we could all benefit from refreshing our frozen livestock explosion know-how with this official USDA Forest Service memo, "Obliterating Animal Carcasses With Explosives." Place 3 pounds (1.36 kilograms) of explosives under the carcass in four locations (Figure 1). The carcass can then be rolled onto the explosives if necessary. Place 1 pound (.45 kilograms) of explosives in two locations on each leg. Use detonator cord to tie the explosives charges together. 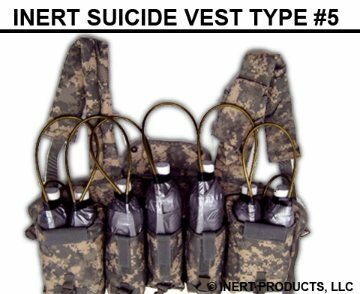 Use water bags to hold the explosives close to the carcass if it is impractical to place charges under the carcass, for example when the carcass is laying in water. Horseshoes should be removed to minimize dangerous flying debris.